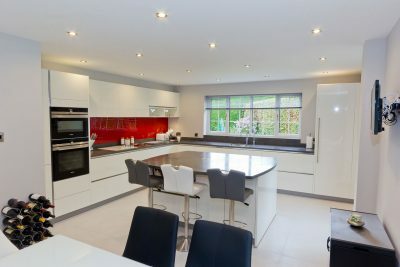 It’s often the case that there is more than one solution to a problem; this kitchen and dining room could have easily been renovated as two separate spaces to satisfy most of the design criteria but would have left the client with a busy kitchen diner and a separate dining room that was rarely used. 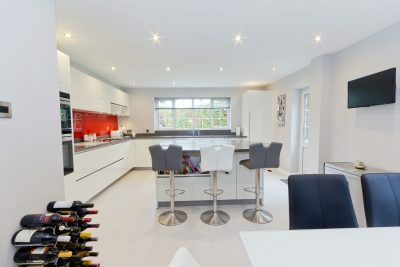 The concept of taking down the dividing wall to create an open plan kitchen dining space wasn’t taken lightly as it would significantly push the clients proposed budget, but the result of a light, airy, open plan space with more than enough storage, worksurface and floor space left over for a table was just too good to pass up. 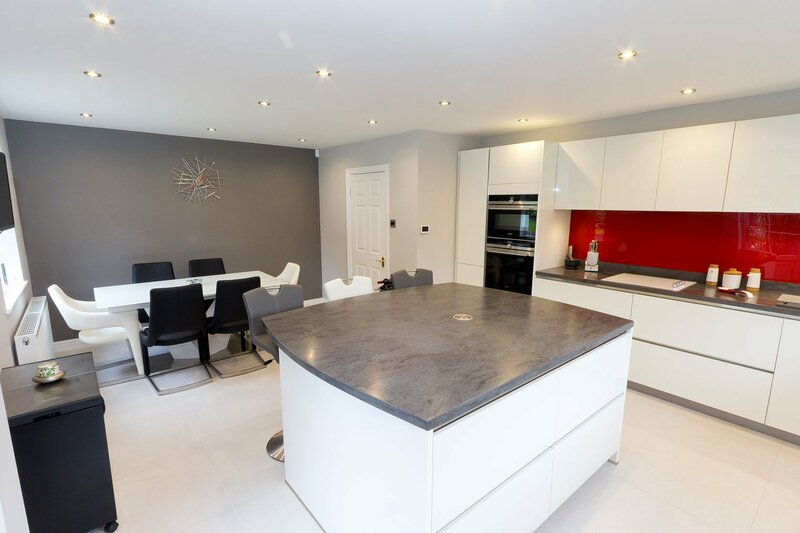 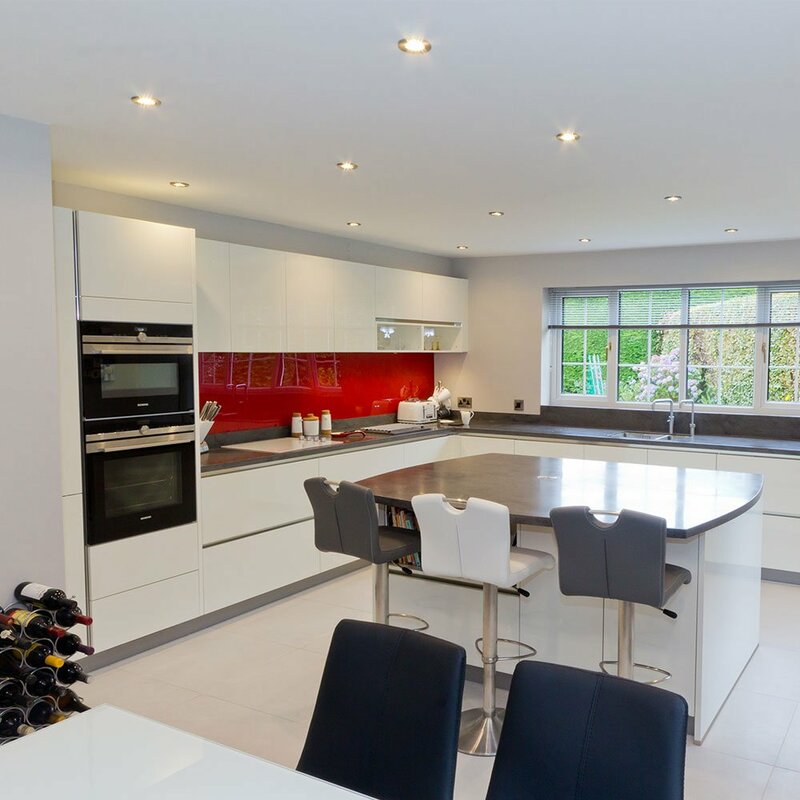 The design was tinkered with a little to create some display area’s which allowed the client to personalise the space without compromising the kitchens function. 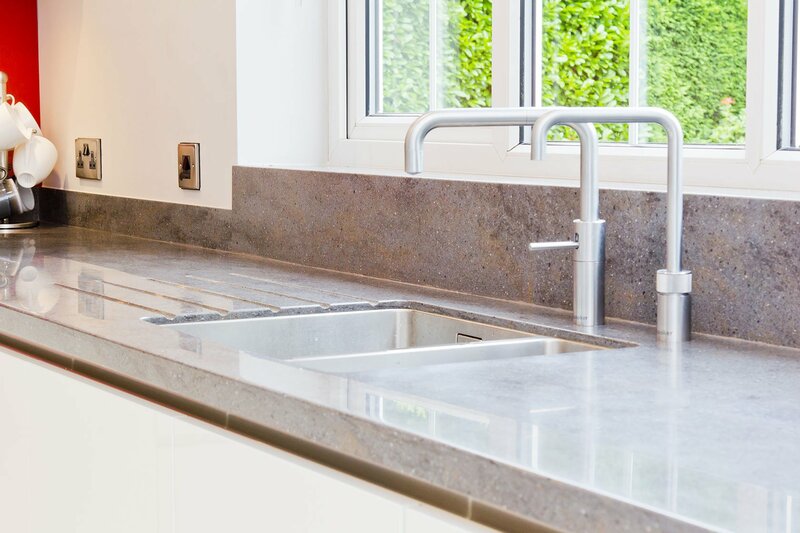 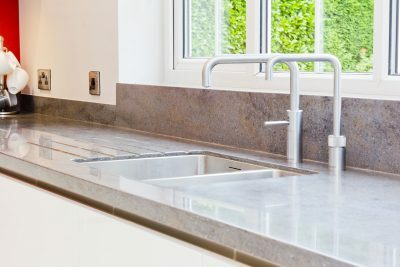 The use of a gloss white handle-less design created simple clean lines but proved a little too restrictive for the client when it came to the integrated fridge, the use of a simple feature handle provided an easier opening solution for the appliance. The use of integrated bins, corner mechanism, pull out larder storage and deep pan drawers all created a fantastic amount of storage that was easy to use and all accessible without too much bending and lifting. 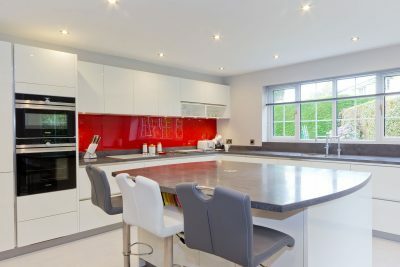 An eye level oven and combination microwave completed the ergonomically designed cooking space with a small breakfast bar making use of the ample island worksurface helping satisfy the request for a social, multifunction space to be enjoyed by all the family.